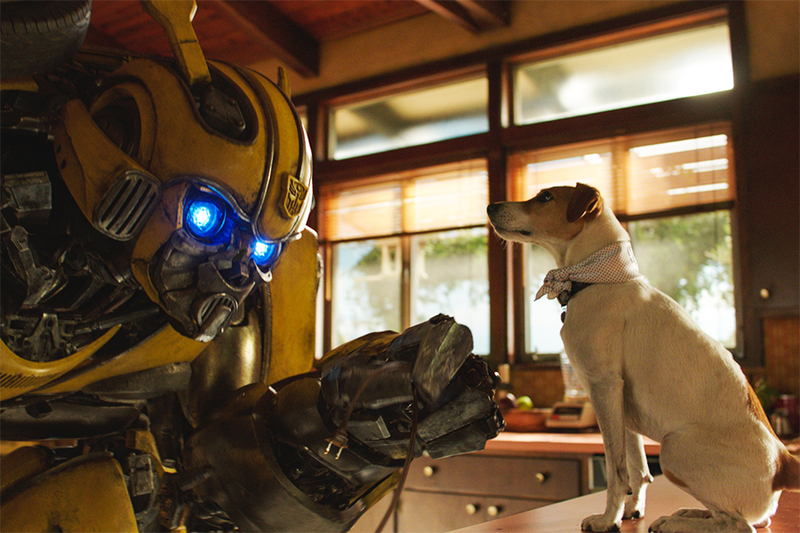 Paramount Home Media Distribution’s Bumblebee debuted at No. 1 on the NPD VideoScan First Alert chart, which tracks combined DVD and Blu-ray Disc unit sales, and the dedicated Blu-ray Disc sales chart the week ended April 6. The “Transformers” spinoff earned $127 million at the domestic box office. Warner Bros. Home Entertainment’s Aquaman, the previous week’s top seller, slipped to No. 2 on both charts. Another newcomer, Clint Eastwood’s The Mule, also from Warner, debuted at No. 3 on both charts. Rounding out the top five on both charts were Sony Pictures’ Spider-Man: Into the Spider-Verse at No. 4 and Disney’s Mary Poppins Returns at No. 5. 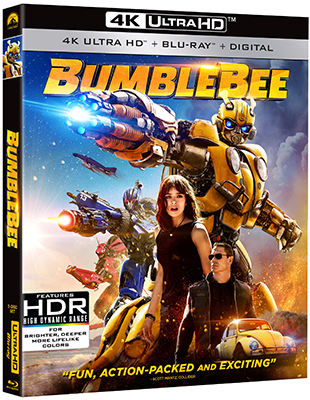 Blu-ray Disc formats accounted for 65% of first-week Bumblebee sales, with 14% of its overall tally from 4K Ultra HD Blu-ray. 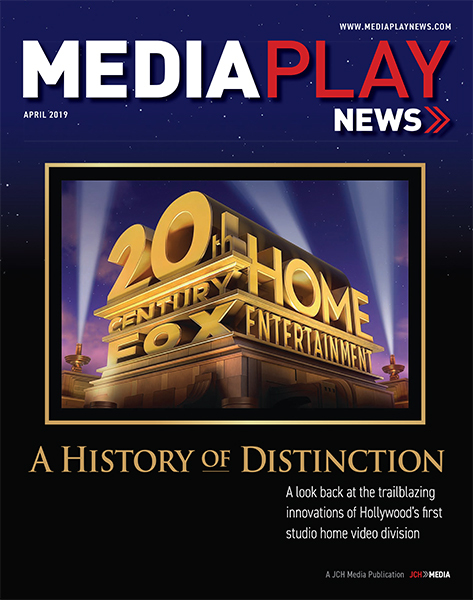 On the Media Play News rental chart for the week ended April 7, The Mule edged out Bumblebee for the top spot. Aquaman slipped to No. 3. Universal’s Second Act dropped to No. 4, while Spider-Verse settled for No. 5. 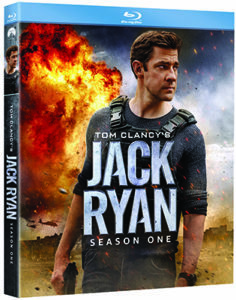 Paramount Home Media Entertainment will release Tom Clancy’s Jack Ryan: Season One on Blu-ray and DVD June 4 (order date April 23). 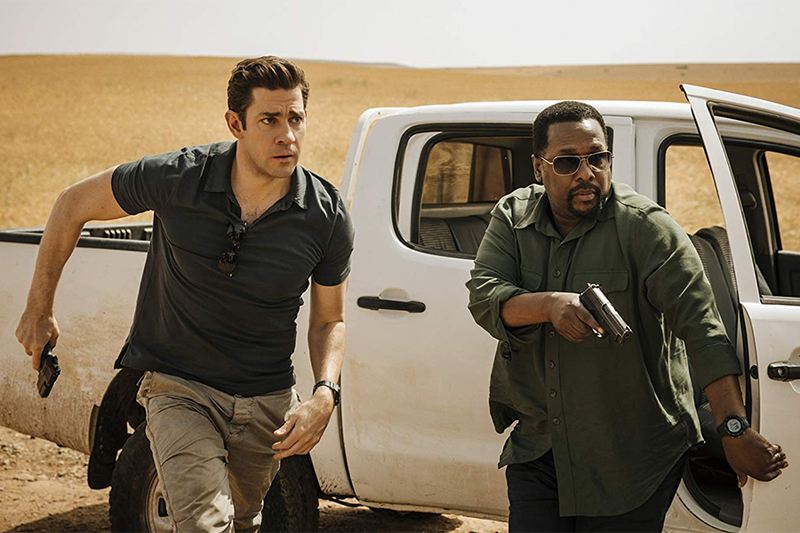 The Amazon Prime Video original series stars John Krasinski as the CIA analyst from the Tom Clancy novels, who finds himself at the center of a search for a terrorist figurehead preparing to attack the United States. The cast also includes Wendell Pierce and Abbie Cornish. 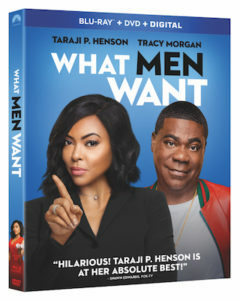 The two-disc Blu-ray and three-disc DVD sets include all eight episodes from the first season, plus exclusive deleted scenes. 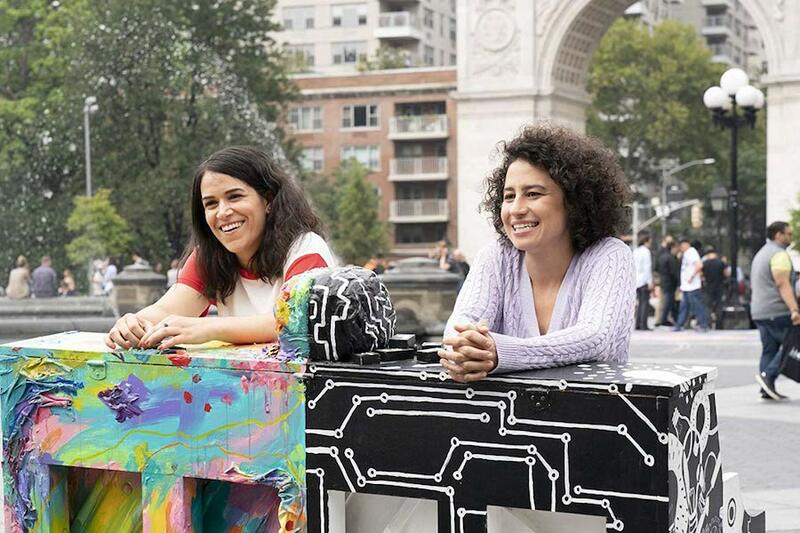 Amazon has renewed the series for a second and third season. Rated ‘PG-13’ for sequences of sci-fi action violence. Stars Hailee Steinfeld, John Cena, Jorge Lendeborg Jr., John Ortiz, Jason Drucker, Pamela Adlon, Stephen Schneider, Glynn Turman, Len Cariou. Voices of Dylan O’Brien, Angela Bassett, Justin Theroux, Peter Cullen. It’s hard to deny that the five live-action “Transformers” films have just about worn out their welcome even among the most avid fans of the franchise and toy line on which it’s based. With the movies for the most part having devolved into spectacles of mind-numbing action, incomprehensible plotting, unrecognizable characters and a jumble of references to the iconic “Transformers” lore established in the old cartoons and comic books, it was clear a change in direction was in order. 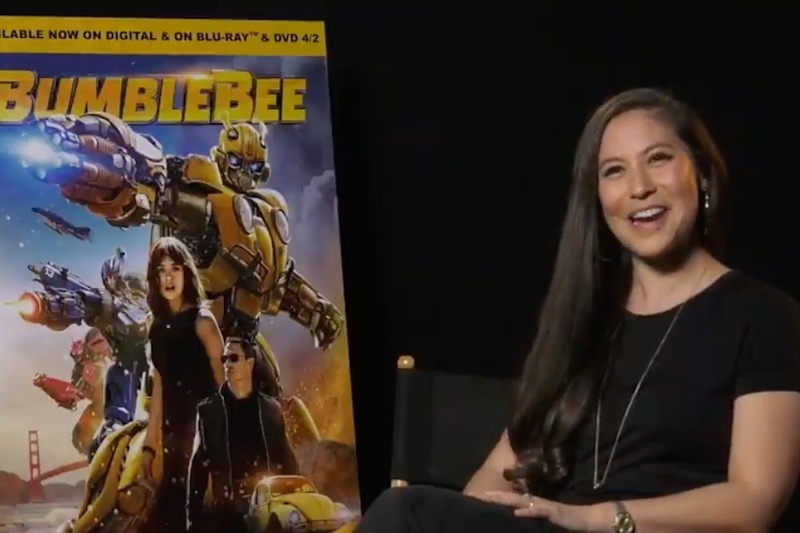 Bumblebee, directed by stop-motion animation veteran Travis Knight, is just the creative spark the franchise needed to re-connect with the audience, returning to the basics of the brand’s premise without over-complicating the story with an abundance of jokey characters and a fetish for the military industrial complex. As the sixth live-action “Transformers” film, Bumblebee could be seen as either a prequel to the other five, or as a reboot, depending on what direction producers decide to take it in the future. There are obvious references to the other films embedded throughout, so if further movies didn’t materialize then it plays pretty well as a prequel, with some mental gymnastics employed to explain away moments where the story seems to completely ignore what has been established in the earlier films. It’s somewhat evident that an earlier iteration of the movie was meant to more closely align with Bay’s world, particularly since a comic book prelude released before the film depicts Bumblebee working with the British secret service in the 1960s, playing off his involvement in World War II in the fifth film. Bumblebee, on the other hand, shows him landing on Earth in 1987, which isn’t necessarily inconsistent, but raises a few questions. An alternate opening sequence — included among the Blu-ray’s 19 minutes of deleted scenes — is a bit more vague about Bumblebee’s arrival on Earth. So, in the same vein as X-Men: First Class, it wouldn’t be surprising if future sequels didn’t bother connecting to the existing continuity, though, recently one of the film’s producers indicated future installments would lean more toward the Bay continuity after all. 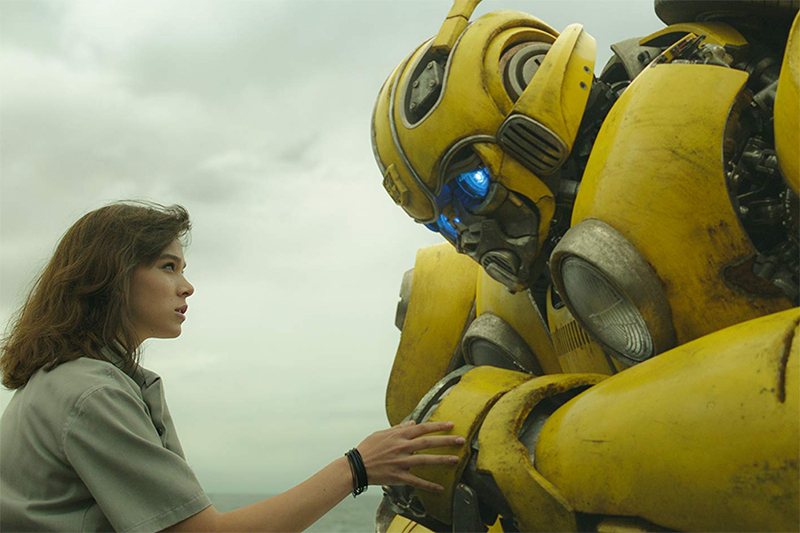 Bumblebee plays like a throwback to a 1980s Steven Spielberg movie, while the story is somewhat of a gender-swapped version of the set-up to the 2007 film, in which Shia LeBeouf came across Bumblebee in a used-car lot. Fleeing from the Decepticon conquest of his home planet of Cybertron, Bumblebee crashes on Earth and loses his memory. 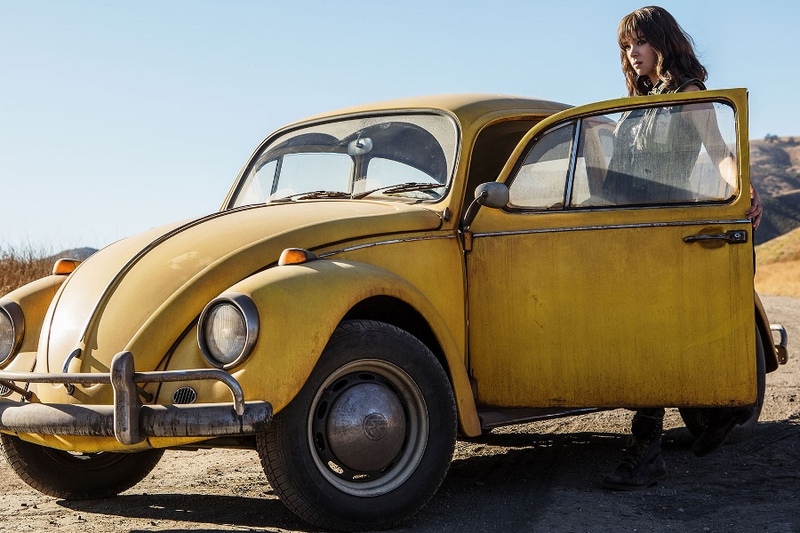 Having taken on the disguise of a 1960s Volkswagen Beetle, he is discovered in a junkyard by Charlie (Hailee Steinfeld), a mechanically inclined rebellious teenager looking for meaning in her life following the sudden death of her father. She repairs Bumblebee and learns that he’s an alien robot with the ability to transform into a car. And he’s being pursued by the U.S. military and Decepticon bounty hunters. With Charlie’s help, Bumblebee starts to regain his identity enough to remember the mission given to him by Autobot leader Optimus Prime (Peter Cullen) to protect Earth from the Decepticons so the Autobots can use it as a base to regroup. The film comes to life with seamless visual effects that look great on Blu-ray, and a soundtrack peppered with some of the top hits of the 1980s. 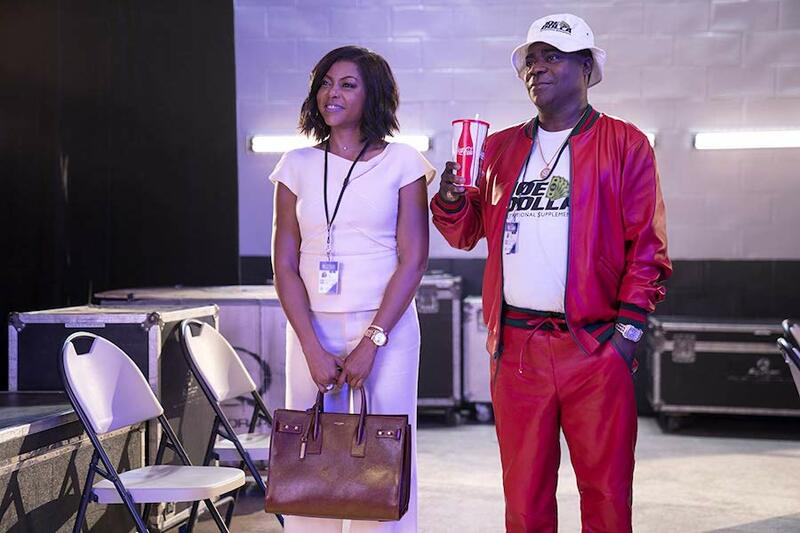 The girl and her living car angle might also bring to mind Herbie: Fully Loaded, which itself was an attempt to freshen up a shopworn franchise. For the most part, though, Bumblebee offers up a good chunk of the kind of “Transformers” fun that fans have been waiting to see since the 1980s, particularly the battles on Cybertron. The Blu-ray also comes with a mini-comic featuring Bumblebee’s next adventure, in which he tussles with another Decepticon who has come looking for him. One of the extras on the disc is a motion comic containing this story with an extended ending that more explicitly ties Bumblebee to the events of the first Bay movie. 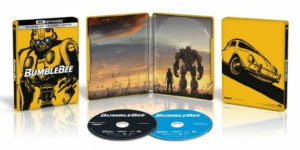 The disc also contains 10 minutes of outtakes, a four-minute profile of various “Transformers” characters with their “Generation One”-inspired designs, and 47 minutes of decent behind-the-scenes featurettes. 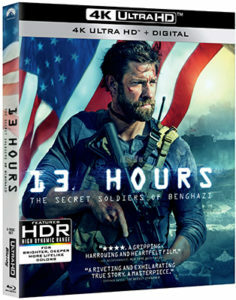 Paramount Home Media Distribution will release director Michael Bay’s 2016 docudrama 13 Hours: The Secret Soldiers of Benghazi on 4K Ultra HD Blu-ray and digital June 11. 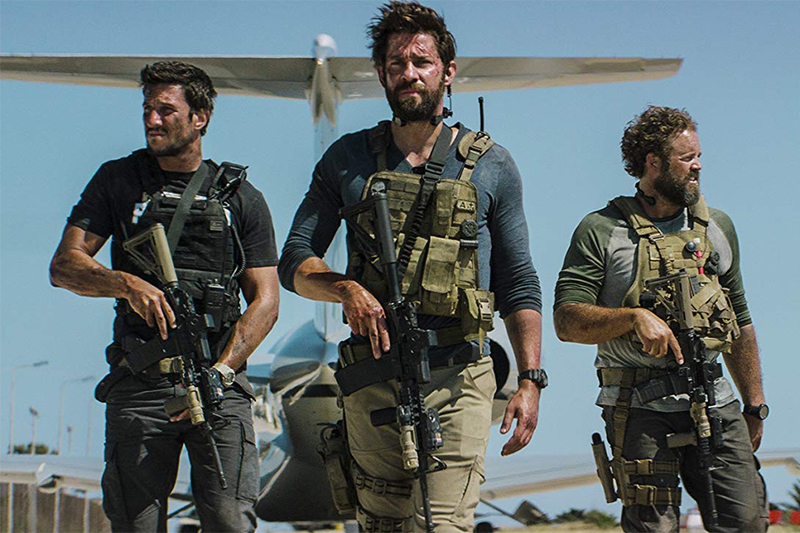 Starring John Krasinski, James Badge Dale and Pablo Schreiber, 13 Hours recounts the story of the unite of elite ex-military operators who fought to protect a CIA compound in Libya from a terrorist attack in 2012. The two-disc UHD Blu-ray includes more than an hour of behind-the-scenes bonus material. Paramount Home Media Distribution will release Comedy Central’s South Park: The Complete Twenty-Second Season on Blu-ray and DVD May 28. 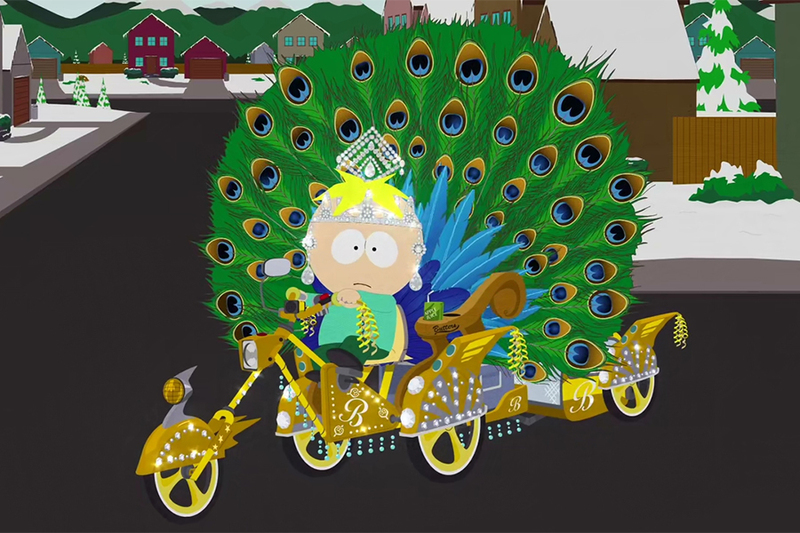 The 10 episodes showcase Cartman, Kenny, Stan, Kyle, Butters and the rest of the South Park gang as they deal with legalized weed, an Amazon distribution center, e-scooters and an attack by ManBearPig. The two-disc sets will include deleted scenes and mini-commentaries on all episodes by “South Park” creators Trey Parker and Matt Stone. The Blu-ray also includes #SocialCommentary on all episodes.